San Francisco: New Zealand winger Akuila Rokolisoa took the offload from Trael Joass and split two English defenders. Seconds later he was somersaulting over the try line with the ball, but he might as well have been carrying the Melrose Cup. New Zealand rolled past England 33-12 with a performance that featured speed, strength and a stout defence to repeat as Rugby World Cup Sevens champions and become the first three-time winner of the tournament. 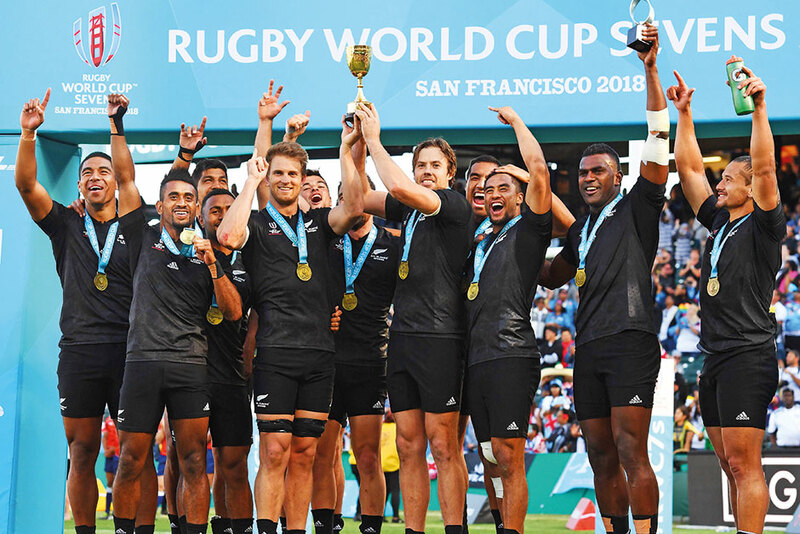 The All Blacks Sevens players ripped off their shirts but kept their gold medals on for a celebratory post-match Haka on the same field where the Black Ferns won the women’s competition less than 24 hours earlier. The results meant back-to-back World Cup doubles for the New Zealand teams. Rokolisoa’s try with less than a minute left pushed New Zealand’s advantage to 14 points and Joass’ try on the final movement was merely an exclamation point to the match and the beginning of the celebration. South Africa outlasted Olympic champions Fiji 24-19 to win the bronze after the tournament’s top two seeds were bounced in the semi-finals. Two-time reigning World Series champions and top-seeded South Africa scored the opening try in their semi-final against England but were blanked the rest of the way in 29-7 loss. England needed overtime to beat the United States in the quarter-finals. The US smothered Scotland 28-0 but tackled poorly and didn’t take care of the ball in a 33-7 loss to Argentina in the fifth-place game. Neither the American men nor women earned a medal at the Rugby Sevens global showcase but players and coaches agreed the three-day event, which sold more than 100,000 tickets, was important in raising USA Rugby’s profile. The sixth-place finish represents the best for the Eagles in a Sevens World Cup.